Magnifying Glass is a high quality magnification software that employs advanced image filtering algorithms. - "Copy to Clipboard" option. - added an option allowing to hide the rim and the handle. 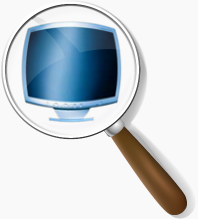 Magnifying Glass 1.2 works with Windows 2000 and Windows XP. Windows Vista and Windows 7 are partially supported.